If you need some quick cash and are thinking a personal loan is right for you, you should learn more about what a personal loan is. 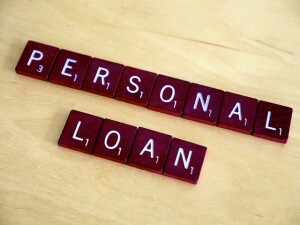 A personal loan is a fast, short-term cash loan where you can borrow as little as a few hundred dollars up to $1,000. Many times life can throw us a curveball, like a broken down car or flooded basement. Instead of these unforeseen situations wreaking havoc on our wallet, it’s best to consider getting a personal loan. Here at Tio Rico Te Ayuda we make the process of applying for the loan and getting the money you need painless and fast, in a little as 30 minutes! It’s okay if your credit history is less than perfect, it’s not an important part of our customer evaluation. We understand that certain circumstances may land people with poor credit but we don’t think that’s a reason not to help our customers by approving them for personal loans. Qualifying for and getting your personal loan is very simple. You must be 18 years or older to apply, have a motor vehicle registration in your name (if you’re an Arizona resident, it’s okay if the registration is not current), have a government-issued ID, and a bank checking account or pay stub from your employer. If you’re looking for personal loans in Arizona, fill out the simple form here or contact us and bring these items with you to your local Tio Rico Te Ayuda.